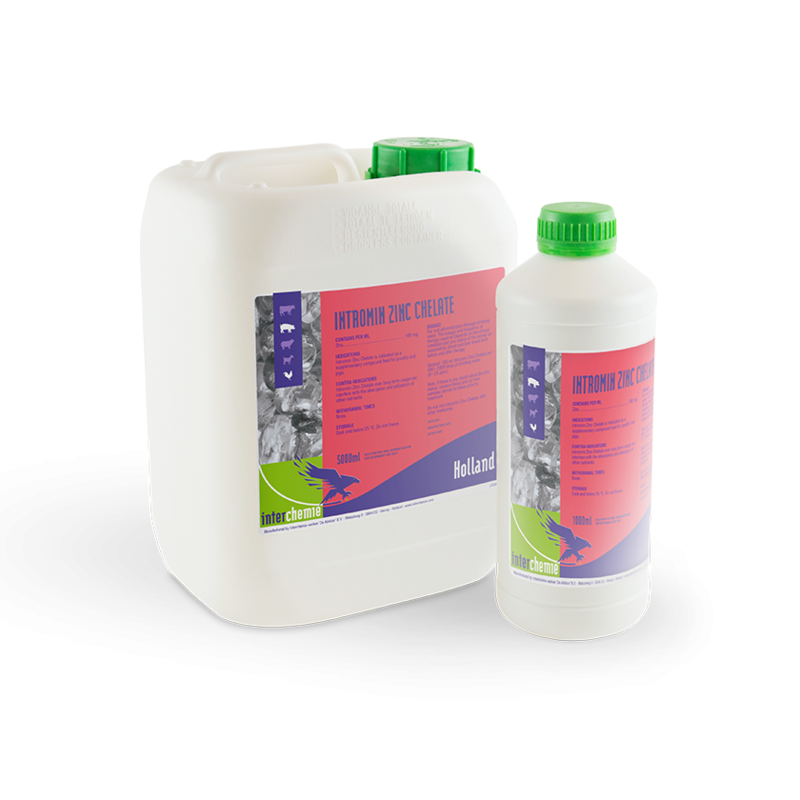 100 ml Intromin Zinc Chelate per 400 – 2000 litres of drinking water (5 – 25 ppm). The dosage and frequency of therapy required depends on the clinical condition and zinc status of the animal as assessed by blood and liver levels both before and after therapy. If there is any doubt about the zinc status, random blood and/or liver samples should be taken prior to treatment. Do not mix Intromin Zinc Chelate with other medicines.